Released in the USA and Australia these two fan-voted compilation albums were released to celebrate the 35th Anniversary in 2012. 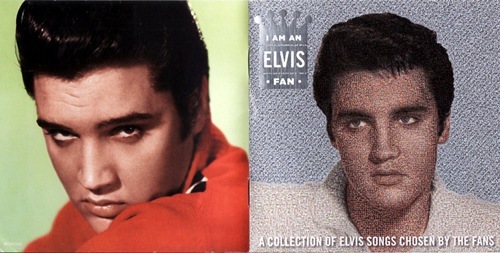 Both were obviously going to be yet another Elvis ‘Greatest Hits’ collection so the marketing and drive to get sales were via on-line fan voting and for the US version a new get your picture into a ‘Fan Mosaic’ concept. Both also offered the marketing ploy of an Elvis poster with your name on it. ‘I Am An Elvis Fan’ in the US sold for a cheap $10 but featured only 21 tracks. ‘Elvis By Request’ in Australia sold for $22 but featured 40 tracks. 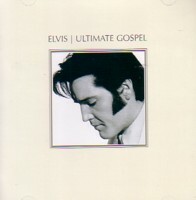 For the US "I Am An ELVIS Fan" release, fans voted for their favourite 21 tracks from seven categories, and from a selection of ONLY pre-selected 90 tracks. With only 90 tracks to choose from it was inevitable that this would be a routine "Greatest Hits" package. The marketing was major and driven by social media and by EPE. The music categories were ‘50s, ‘60s, Country, Movies, Love Songs, Gospel and In Concert. A real disappointment was that early on in the planning an eighth category ‘R&B’ had also been considered – this would surely have made a more interesting and better value for money compilation. For the Australian ‘Elvis By Request’, fans voted for their favourite 40 tracks from any of Elvis' 711 masters. The marketing was driven by four "Oldies" radio channels – plus the embarrassing 35 "fat Elvises" August 16th event on Sydney Harbour Bridge. So how do these 2012 albums compare - and did you vote? Don't Be Cruel, Heartbreak Hotel, All Shook Up, Jailhouse Rock, Blue Hawaii, Viva Las Vegas, In The Ghetto, Suspicious Minds, Memories, Can't Help Falling in Love, The Wonder of You, Always On My Mind, Welcome To My World, Guitar Man, Kentucky Rain, An American Trilogy (live), Burning Love (live), Suspicious Minds (live), Peace In The Valley, How Great Thou Art, If I Can Dream. Worth noting is the surprising choice of ’Welcome To My World’ and great to see ‘Guitar Man’ there since it only made #40 in the US when originally released. Similarly ‘Always On My Mind’ was only a B-Side in the USA when released and didn’t chart. Also interesting to see ‘Memories’ as one of the selected key ‘60s tracks. One bad point is that FOUR tracks out of the 21 are taken from the "Aloha" album! Why wasn’t ‘Suspicious Minds (live)’ taken from 1969’s ‘Elvis In Person’ or even ‘TTWII’? Worst of all there are TWO versions of ‘Suspicious Minds’ on the one CD which is ridiculous! The marketing suggested 250,000 voted, which I find hard to believe. A positive is that the album audio was mastered by Vic Anesini (The Complete Masters etc) so the sound is excellent, smooth and high-quality throughout. ‘Elvis By Request’ - Favourite tracks listed by popularity. DISC1 - 1. An American Trilogy, 2. If I Can Dream, 3. Suspicious Minds, 4. Always On My Mind, 5. In The Ghetto, 6. The Wonder Of You, 7. Can’t Help Falling In Love, 8. I Miss You, 9. Kentucky Rain , 10. Memories, 11. Jailhouse Rock, 12. Love Me Tender, 13. Teddy Bear, 14. Wooden Heart, 15. Don't Be Cruel, 16. Edge of Reality, 17. Hawaiian Wedding Song, 18. Just Pretend, 19. Are You Lonesome Tonight?, 20. Burning Love. DISC 2 - 21. My Way, 22. (You're the) Devil in Disguise, 23. A Little Less Conversation, 24. Amazing Grace, 25. Don't Cry Daddy, 26. You Gave Me a Mountain, 27. Peace in the Valley, 28. How Great Thou Art, 29. Judy, 30. Bridge Over Troubled Water, 31. Return to Sender, 32. A Mess of Blues, 33. All Shook Up, 34. Viva Las Vegas, 35. A Fool Such As I, 36. Promised Land, 37. Blue Hawaii, 38. Crying in the Chapel, 39. It's Now or Never, 40. Heartbreak Hotel. On the Australian release it’s great to see the fondly remembered Australian favourite ‘Judy’ in the list which charted #5 in June 1967! Great to see album track ‘Just Pretend’ (hi Carolyn!) there, similarly the fantastic mid 70s rocker ‘Promised Land’ which did not chart in Australia. ‘Edge of Reality’ has always been an Australian oddity making #2 in 1969 and ‘A Mess of Blues’ is another excellent choice. Surprising that ‘Hawaiian Wedding Song’ charts so highly but cool to see both ‘An American Trilogy’ and ‘If I Can Dream’ beat the all-too-common ‘Suspicious Minds’ to the top. The most popular choice is interesting since ‘American Trilogy’ did not chart in Australia when first released, yet in the UK it made #8. The only tracks from the US selection that are notably absent in the forty Aussie tracks are ‘Guitar Man’ and ’Welcome To My World’. Interesting that "classics" such as ‘Little Sister’ and even ‘Hound Dog’ did not make the Top 40 and ‘Heartbreak Hotel’ only just scraped in. The marketing suggested 4,500 fans voted. The complete oddity is that the totally uninspired ‘I Miss You’ is supposedly in the top ten. A fairly unknown Elvis song, that is certainly not a "Fan-Favourite", there must have been a set-up of some kind to get this dreary song voted in. EIN does not suggest that SONY Australia fixed the voting - however using a standard statistical look at popular voting distributions, the song ‘I Miss You’ at #8 should have received around 200 votes. With more than one vote per person it would be fairly easy to set up a Fan Club - or suggest on a radio programme - that members or listeners could vote for one particular track. With standard statistical distributions and 4,500 votes, the lesser-voted fan selections would only have received 30 or so votes. The audio is a disappointment with ‘Elvis By Request’ as unfortunately the tracks have been compiled from various sources and NOT the 2007 Vic Anesini great sounding upgrades. ‘Can’t Help Falling In Love’ for instance is the old "muffled" sounding version and at a lower volume. Amazingly the first track 'American Trilogy' is also a very "narrow" version and also not Vic Anesini's recent upgrade. No album mastering credit is given but it’s a bumpy audio ride at times, especially on DISC 2 where some of the later 70’s tracks are mastered at a much lower volume than the poppy sixties tracks. ‘Bridge Over Troubled Water’ is at a very low volume stuck between the sixties blast of ‘Judy’ and ‘Return to Sender’ - and has you rushing for the volume control. This is a real shame as the eclectic track selection particularly on DISC 2 otherwise makes for a fascinating listen. Worth noting is that 'Elvis By Request' surprisingly features ‘My Way’ taken from Elvis' CBS TV special (and in pretty good audio quality to be honest). However as Elvis' voice wavers throughout and he can't keep up the final note, it is a pretty sad attempt - and certainly NOT the version fans will have voted for! 'Bridge Over Troubled Water' is also the studio version without the overdubbed applause. This is of course the same version as released in the 1970's box-set, as well as the ‘Heart & Soul’ romantic compilation. Unfortunately mastered here at too low a volume. The US ‘I Am An Elvis Fan’ came with the mini "fan Mosaic" on the front cover plus a colourful 12 page booklet with chart info and a good selection of photos (below) with explanations about each photo. The Art Direction was by FTD’s Roger Semon. ‘Elvis By Request’ however came with a black&white flimsy 8-page booklet with only photos of Elvis in the fifties (below) and no chart information. Both CDs also came with a poster - and both posters were disappointing! The "I Am An Elvis Fan" poster was black and white, not worth framing but had my name noted on the back of it. Supposedly 250,000 fans voted (25,000 seems more likely the number to EIN) and there are 2,440 fan names printed on the back of the poster – that makes only 1% of the number that supposedly voted. 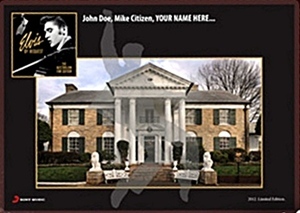 The "Elvis By Request" poster was NOT a photo of Elvis but a rather boring shot of Graceland! The publicity also promised "Your Name Here" – see image right - and for some reason that was what I expected. Of course the poster actually came with everyone else’s name (as well as mine - and plenty of EIN fan club members) also on the poster, printed around the border and looking messy. Again it is not worth framing! Around 4,500 fans voted and there are 305 names printed on the front of the poster. This makes around 7% of the number of fans that voted. "I Am An Elvis Fan" disappointingly only made #137 on the billboard Album charts! It has now sold a total of only 12,000 copies. With all that on-line media marketing leading up to Elvis Week it SHOULD have made Top Ten, if only for a week. Are EPE really saying 250,000 fans voted but only 3,300 bought the album on the first week of release? EIN asked EPE's marketing manager Scott Williams if he would mind answering a few questions about the sales & marketing of 'I Am An Elvis Fan'. He replied, "What are your questions and I am happy to answer them." But 2 days later EIN found that he had been removed from EPE's mailing server. Meanwhile around 4,000 fans voted for "Elvis By Request" with it charting a respectful #4 in the ARIA album charts, even if sales figures nowadays are pretty low. 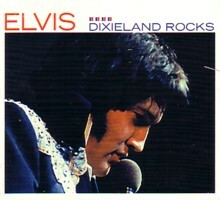 With 3,000 fans buying the album at least it put Elvis back in the TOP TEN and that has to be good. By week three it has dropped to #33 with total sales of around 9,000. Comparatively this is actually a big success compared to the US sales. One point worth noting is that Todd Slaughter created the very first "Fan Voted" Elvis compilation with ‘Elvis By Demand’ released in the UK back in January 1977, making #12 in the album charts. Even then Todd Slaughter rightly disregarded all the common "classics" that had been actually selected by the fan club (do we really need another compilation with ‘Don’t Be Cruel’ on it?) instead creating a fascinating alternate track compilation. 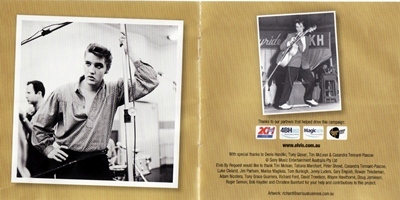 Five years ago back in 2007 BMG again released two very similar double-CD Elvis ‘Greatest Hits’ compiles, 'The King' and 'Essential Elvis' - Back then EIN examined them both and wondered if everyone in BMG/SONY marketing is related to Colonel Parker as they still continue to flog the same old horse. Go HERE for the 2007 article! Overall Verdict: Both these compilations cost me $20 in Australia (including the postage from the USA for "I Am An Elvis Fan"). ‘Elvis By Request’ has a fascinating tracklisting and was better value-for-money but the audio levels are poorly compiled. In this day and age CDs need to come with quality booklets containing a worthwhile essay and rare photos - both these compilations however lacked in any interesting sleeve notes. In fact neither of these releases have booklets or posters worth keeping. Will I listen to them again? Probably not. Note for "I Am An Elvis Fan" the cost of overseas postage for the big "Mosaic poster" was around $35 which I could not afford. Note for "Elvis By Request" you can basically compile the same forty tracks from your own collection, apply "auto-volume" and you have a better sounding equivalent & playable release. 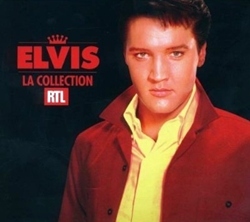 A French fan chosen compilation was also issued in 2012 - "La Collection - RTL"
35 Elvis Presley songs carefully selected by fans for the 35th anniversary of the disappearance of the King. 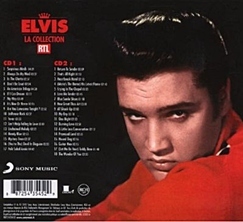 After more than 100,000 French sales in 2007 of the 'Essential Elvis' compilation, RTL (Radio Luxembourg) (in partnership with Sony Legacy) asked their listeners to vote for their favorite Elvis songs. From a list of the most popular 100 songs, the massive audience of Radio Luxembourg decided on their 35 favourite titles. Each song was classified according to the number of votes received, not in chronological order of release. The Top Three are fairly predictable, 1. Suspicious Minds, 2. Always On My Mind, and In The Ghetto. Further down the list the selections become far more interesting. Surprises are #8 'Are You Lonesome Tonight? (Laughing version)' with 'Fever', 'Unchained Melody', 'Moody Blue' and 'Mystery Train' all in the Top 15. Other notable differences are 'Polk Salad Annie', 'My Boy', 'His Latest Flame', 'One Night' and very nice to see the pivotal 'That's All Right' in the Top Twenty. Here are the French fan-chosen favourites. 1. Suspicious Minds, 2. Always On My Mind, 3. In The Ghetto, 4. Don't Be Cruel, 5. An American Trilogy, 6. If I Can Dream, 7. My Way, 8. It's Now Or Never, 9. Are You Lonesome Tonight? (Laughing), 10. Jailhouse Rock, 11. Fever, 12. Can't Help Falling In Love, 13. Unchained Melody, 14. Moody Blue, 15. Mystery Train, 16. (You're The) Devil In Disguise, 17. Polk Salad Annie. 22. Crying In The Chapel, 23. Love Me Tender, 24. Blue Suede Shoes, 25. How Great Thou Art, 26. All Shook Up, 27. My Boy, 28. One Night, 29. Burning Love, 30. A Little Less Conversation, 31. Promised Land, 32. Hound Dog, 33. Guitar Man, 34. (Let Me Be Your) Teddy Bear, 35. The Wonder Of You. -Copyright EIN September 2012 - DO NOT COPY. EIN Website content © Copyright the Elvis Information Network. I believe it's a case of too many ELVIS releases competing with one another. Every year Sony/BMG adds to the list of ELVIS titles available. While that strategy makes both E.P.E. and Sony a lot of money it has cost ELVIS the top spot on the charts time and time again. Even with the numerous releases by Sony, ELVIS will eventually top the charts again but it could be another 29 years before it happens as was the case with "ELVIS:30 Number One Hits" (ELVIS' 10th number one album). Sony needs to rethink it's strategy in promoting the ELVIS catalog if they ever expect him to top the charts again. Then again, maybe Sony like RCA before them is happy with the way things are. They make a lot of money off of ELVIS but at what cost? For years, ELVIS was the solo artist with the most number one albums on the Billboard Top 200. In the last year or two that has changed. Rapper, Jay-Z has come from behind and charted 12 number one albums (counting the three or four colaborative albums he released with other artists) and Bruce Springsteen has tied "THE KING" for 3rd place on the list. The Beatles are still number one with 19 number one albums. Earlier this year Madonna took over the top spot in the U.K. with a little chicanery. It looks to me that Sony/BMG would want to honor a man who has made them more money than any other artist by making sure ELVIS' catalog is given the proper respect. Then again, record labels have always cared more about money than a artist's legacy. That's a shame because if they did what they should reducing the ELVIS catalog and promoting the one big release they could still make huge money and garner more number ones for ELVIS. Sadly, Sony isn't likely to do that as long as the status quo continues to make them money. (Comment, Source: Donn Cooper, USA) - What do other readers think- Click here and tell us? 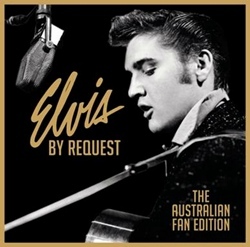 'Elvis By Request' Australia "Best Of" CD: Special Australian 40 track compilation Australians are able to select their favourites to be included on the 40 track set from every Elvis Master. The voting promotion was from June 4 to July 13. Fans outside Australia may order the CD unfortunately only residents of Australia will receive the exclusive poster. "I AM AN ELVIS FAN" OUT NOW: Over 250,000 votes were cast by fans in over 20 countries to compile the first-ever Elvis Presley fan-created albu m. The top voted songs will comprise the song list for the 21-song collection that is available both digitally and in stores NOW. 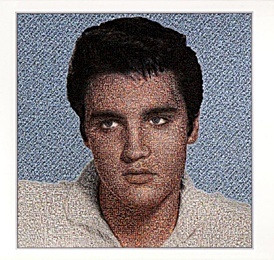 The cover of the release will feature the Elvis fan mosaic that was created by thousands of Elvis fan photos. Sadly there are no surprises in the tracklisting. Click right to buy from Amazon - ONLY US $10.